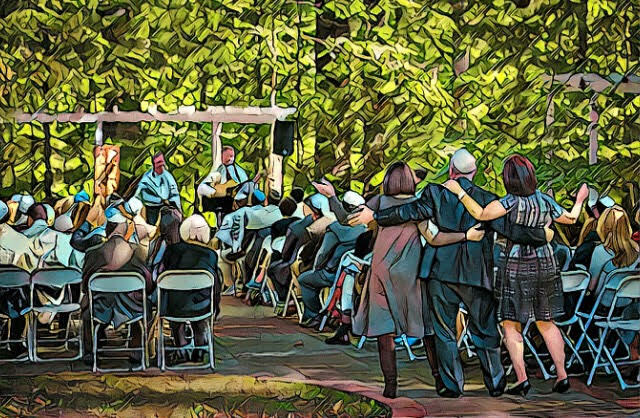 REVIVING the joyful spirit of traditional Judaism AND creating MEANINGful experiences in our modern world. We BRING Jewish adults Together AT EVENTS THAT IGNITE INSPIRATION AND FRESH INSIGHTS INTO JUDAISM. We are all about CONNECTION. we offer ritual services that range from baby naming to memorial services to enhance your life cycle events with jewish tradition. BE A PART OF our warm community, so that we can innovate and celebrate together. Sign up below and We’ll be in touch with the latest news and events! We believe in adult Jewish experiences powered by warm and inspiring events. Check out our Event Calendar. If you’re looking for a life full of both meaning and joy, we can help you find it in our Life Cycle Events. “What a joy it is to know there is something different out there that speaks to me at this time in my life more than where I’ve been for so many years.” - Jill M.
Follow The Jewish Studio On Social Media!